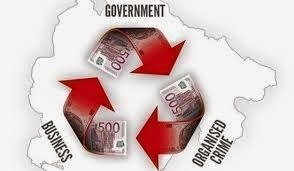 Growing concern about the extent to which organized crime is undermining stability and prosperity on the African continent is galvanizing a search for analytical tools and a clamour for more research to understand the contextual forces at play and how best to undermine them. of the growing number of mentions and resolutions made by the UN Security Council over the past eight years, 80 percent related to Africa. The focus on Africa has largely coincided with the accompanying realization over the last decade that not only does organized crime threaten development but that development-orientated solutions are necessary to combat it. Growing demand in Asia and the Middle East for both licit and illicit goods has fuelled trade in Africa. “The burgeoning market for recreational drugs and wildlife products has caused criminal networks in Africa to grow and become increasingly professional and militarized. At the same time, demand for recreational drugs in the Gulf, coupled with instability across North Africa, has pulled trafficking flows eastwards,” reads the report. The rise in amphetamine use in emerging markets in the Gulf and Asia means that drug production is no longer confined to specific geographical areas. In southern Africa, weapons smuggling routes from the liberation wars are now being used to traffic wildlife products and other illicit goods. Shaw invokes the notion of a “protection economy” to illustrate how the various players intersect in countries where the state’s capacity is weak. He identifies three key components that comprise a protection economy: firstly, provision of violence or “the people with guns” to secure the movement of contraband, which can vary from elements in the security forces themselves to militia, to gangs, to private security companies; secondly, corruption - involving payment to key government officials; thirdly, criminal investment in the communities themselves to ensure legitimacy and smooth operation, such as payment to political parties, or financing of local facilities. “This is a better way to understand organized crime in a particular context where the state is weak or unable to offer protection. It allows you to look at the whole range of state, business, criminal and community actors and understand how they are interrelated,” adds Shaw, who believes that every major criminal network operating on the continent contains these three elements in varying degrees. Where the state is particularly weak “the protection economy is most pronounced,” he says. Where such overlaps between crime, state and politics occur, traditional law and order responses - such as seizure of contraband and locking up culprits (usually those at the lower levels) - won’t solve the problems, comments Stephen Ellis, researcher at the African Studies Center in Leiden, the Netherlands. He cites failed efforts to combat the drug trade in West Africa, as an example. There is a widespread sense among law and order contingents, he says, that they cannot adequately address organized crime because “they don’t have the right tools. The nature of the problem has changed but in ways that are not easy to understand,” he adds, noting a blurring of the frontiers between legitimate and illegitimate enterprise, particularly in so-called failed or failing states. “The notion of a ‘failed state’ is not a term I like,” adds Ellis, “because it does not necessarily correspond to what is happening on the ground.” However, it is a useful tool to identify those countries where the state does not have a monopoly on violence, he says. According to Foreign Policy’s index of 50 failed states, 32 are located in Africa. A recent report by the West African Commission on Drugs notes that “the work of traffickers in the region is facilitated by a wide range of people, which can include business executives, politicians, members of the security forces and the judiciary, clergymen, traditional leaders and youth.” Because elections are privately funded in most parts of this region, they are easily co-opted by drug money. Examples of the involvement of the state and political actors in organized crime across the continent abound - from elephant poaching and ivory trade that implicates many countries, including Zimbabwe, Sudan, DRC, Tanzania, Mozambique; to diamond mining in Zimbabwe; to the arms deal in South Africa; to rhino horn trafficking (South Africa and Mozambique); to smuggling, arms and drugs trafficking in Libya and the Sahel; to trafficking of drugs and logging in Guinea Bissau; to trafficking of ivory, gold and diamonds in the Central African Republic. The list goes on. Shaw believes that the “protection economy” tool allows one to “cost protection economies and to measure progress against them”. According to the Global Initiative report, “consideration of the protection economy and how it operates is an analytical tool that prompts the consideration of a broader spectrum of issues and actors, and thus arguably can increase the likelihood of improved interventions.” One can increase the protection costs of engaging in organized crime by making the risk of exposure greater through dogged media investigation, for example, says Shaw, or by helping communities become more resilient to penetration by crime groups through successful development initiatives. Investigating organized crime is easier said than done. Research by the Committee to Protect Journalists shows that 35 percent of all journalists killed since 1992 were covering organized crime and corruption, often more dangerous beats for journalists than covering conflict. Furthermore, when the “the lines between political and criminal groups are blurred in many nations” the risk for reporters goes up. being forced to engage with the phenomenon of organized crime as they recognize the extent to which it is enmeshed in all levels of society and feeds off poor communities, subverting development agendas. In the Sahel, for example, communities rely on the proceeds of organized crime, in the same way as those in Somalia came to depend on the proceeds of piracy, or the villagers in Mozambique on the money from rhino horn poaching. Without alternatives, poor communities will continue to be the foot soldiers of organized crime.